The developments at the Ministry of Police during the past few days have been extremely disturbing. Without a doubt, it has left a lot of unanswered questions both for our leaders and all of us who have been following this unfortunate drama. But if there was one certainty, it is the fact that things can get ugly very quickly. As much as we don’t like what has been unraveling down at the police station lately, it must be said we are grateful because it could have been a lot worse. With tensions rising on Monday, temperatures boiling and the tussle for who is stronger and more powerful, it could have easily developed into a confrontation of sorts. One we would all regret, especially at a Police station where some of the most powerful weapons in the country are stored. Today, while we know there is a storm brewing beneath the surface, peace and stability remain our priceless assets. It doesn’t mean we don’t have problems to sort out. As it stands, we have an interesting situation where the Police Commissioner and one of his Assistants have been suspended. Down at the police station, it is a volatile place. The feelings are high and there has been plenty of smoke during the past few days. It’s a sensitive time for this nation. To the Acting Prime Minister, Tuitama Dr. Leao Tuitama’s credit, he has done a stellar job maintaining the peace in the absence of the Minister of Police, the Prime Minister and other senior Cabinet Ministers. It’s fair to say that Tuitama had weathered what potentially could have been one of the worst storms to have occurred in Samoa. The fact is the Police Force as of today is a divided unit. There are officers who remain loyal to their Commissioner, Fuiavailili Egon Keil, and then there are those who want him out. It’s not hard to see the tension, you can feel it and we know it very well. After all, the signs have been there for a long time; we did not need to be rocket scientists to work out it was only a matter of time before it exploded. On Monday, things came to a head. We don’t want to imagine what could have happened had the scuffle between officers escalated to a more serious fight. Keep in mind that we are not just talking about senior Police officers, we are talking about matai and well respected leaders who are loved by their peers, friends and families. These people have feelings and it could have easily boiled into an incident we would be regretting today. What’s needed now are cool heads to work towards a peaceful solution to this little dispute. 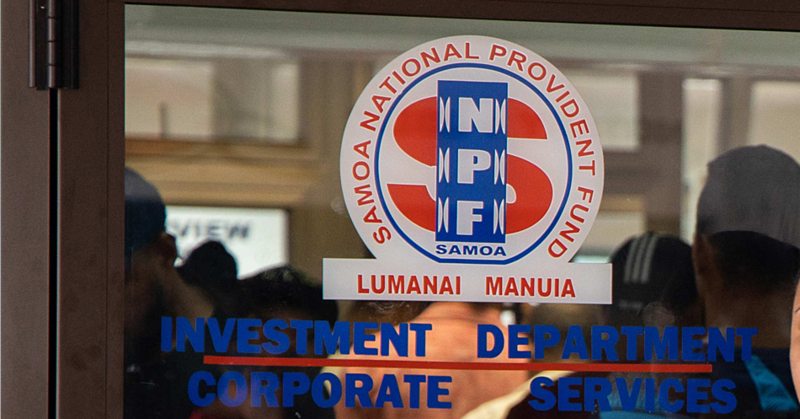 From what we’ve been told, while a Court hearing is pending against the Commissioner over fresh charges filed on Monday, a Commission of Inquiry has been launched into the conduct of his Assistant, Samoa Mulinu’u Mulinu’u, in relation to the handling of Fuiava Egon Keil’s arrest. We’ve said that we don’t want to take sides in this dispute because we believe there are valid points to the arguments from both parties. Commissioner Fuiava has some legitimate points and so do the other Police officers whose concerns have been expressed through letters to Prime Minister and Cabinet. Come to think of it, the differences in opinion is healthy but that is only so when it is handled properly. Let’s hope we’ve seen the worst in this police dispute. What we want to remind today is that this is Samoa where our problems are not resolved through weapons, confrontation and fists. We use dialogue, mutual respect and love for one another. To err is human after all but to forgive is indeed divine. Remember the Ministry of Police and everyone involved in this dispute in your prayers. Let’s do our part to help bring a peaceful resolution to what has obviously been a very personal and ugly part of our history we do not want repeated.